This 5.0 L pot is made of stainless steel and designed for use with True Induction and any other brand name induction cooktop. True Induction has been a trusted household and restaurant product for years. Its line of surgical stainless steel gourmet cookware maximizes the benefits of induction cooking without compromising quality. Many brands produce gourmet cookware that can be used with induction cooktops, but the entire line of True Induction gourmet cookware has great features to help it to stand apart from other cookware sets because it is designed with induction cooking in mind. The first feature of the True Induction 5.0 liter pot is the riveted handle. This pot has handles that will never come off. The rivets are located outside of the cooking area rather than on the inside. This makes the pot safer and easier to clean. You won't have to worry about fruit and vegetable pieces becoming stuck in the rivets while cooking. This cuts chances of bacteria growth. The second feature is the sturdy perma-bond construction. The outer layer of the 5.0 liter pot is conductive stainless steel, which is designed to absorb the maximum amount of energy from the induction cooking field while still working perfectly on conventional gas and electric cooktops. This uniquely engineered outer layer ensures quick heating. The middle layer is composed of thermal conductive aluminum, which provides the perfect balance of heat conductivity and even cooking. 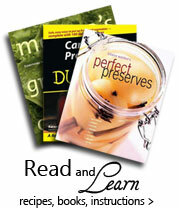 You won't have to worry about hot spots or cold areas while in the middle of your canning process. 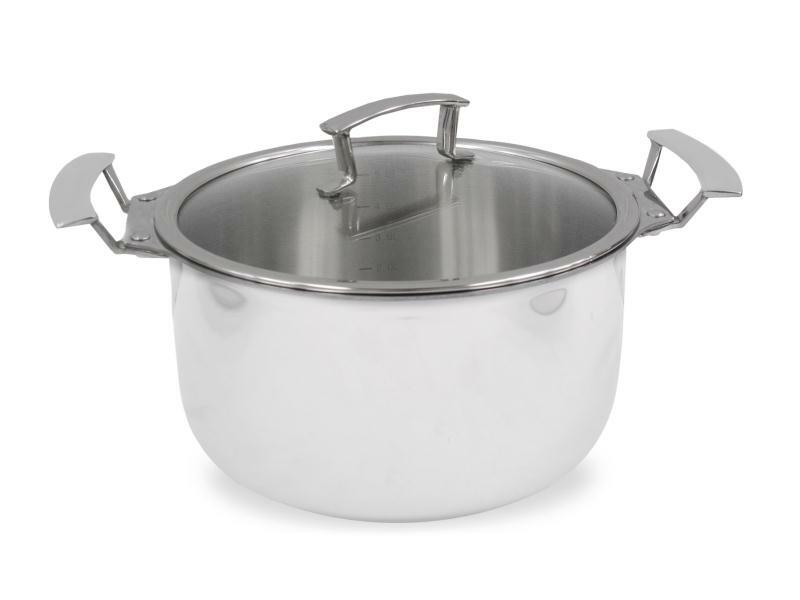 The final inner layer of the 5.0 liter pot is surgical grade stainless steel. It is stain-free and naturally resistant to produce sticking to the bottom of the pot. Non-stick chemical products are therefore unnecessary. The third feature of this True Induction piece is ergonomics. Each pot has been designed with functionality, sophistication, and ease of use in mind. Volume measurement is located on the inside of each pot for quick measuring. The lid is made of crystal clear tempered glass. It is heat resistant and the handles feature a thermal silicone seal to prevent overheating. The handle and rim of each lid is made of high quality stainless steel. Lids are interchangeable between pieces. True Induction gourmet cookware is dishwasher safe. True Induction gourmet features a lifetime warranty. This pot is available for purchase as part of a set or by the piece.